Indian utility vehicle conglomerate Mahindra is betting big on the KUV100 after launching the compact SUV in India. Prices for the KUV100 start at ₹ 4.5 lakh (ex-showroom, Delhi) for petrol variants and ₹ 5.2 lakh (ex-showroom, Delhi) for diesel variants. The car can now be booked straight from the carandbike website. Click here to go to the booking portal. 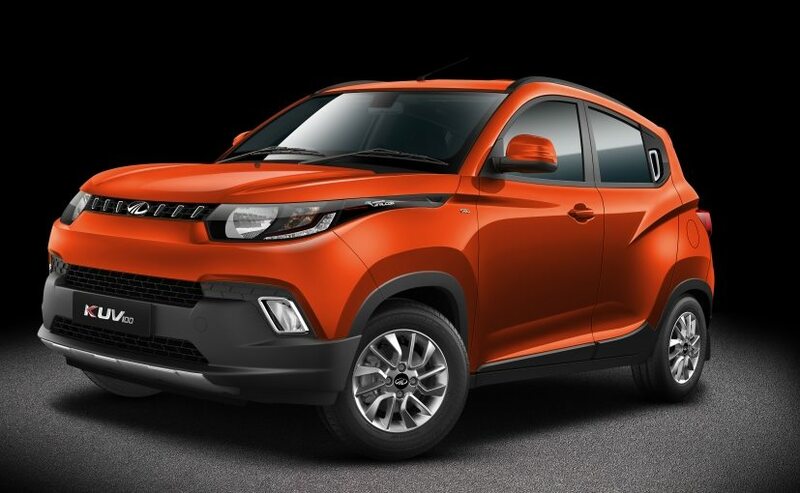 The highly-anticipated KUV100 is Mahindra's third sub-4 metre vehicle in its Indian portfolio and is the first product to be launched by the company in 2016. The KUV100 is available in 7 variants - K2, K2+, K4, K4+, K6, K6+, and the top-of-the-line K8. The '+' versions of the K2, K4, and K6 variants, refer to the addition of dual airbags to the standard list of each variant's standard feature-list. The Mahindra KUV100 stands out in the crowded sub-Rs 7 lakh space as there isn't anything quite like the mini SUV in the Indian car market, just as yet. However, competition is due to arrive as competitors, Maruti Suzuki and Datsun are preparing to launch the Maruti Suzuki Ignis and Datsun Redi GO respectively. Given the cost and size parameters, the Mahindra KUV100's closest competitors in India are the Hyundai Grand i10 and Maruti Suzuki Swift. Here's a look at how the KUV100 stacks up against its competitors on paper. The Mahindra KUV100's design is inspired by the more premium XUV500 as both cars have been built on a monocoque chassis. The front fascia is butch and aggressively designed and its SUV stance is emphasised by the cladding on its sides and its overall height of 1,655mm. In contrast, the Grand i10 and Swift feature regular hatchback-like dimensions and features overall heights of 1520mm and 1530mm respectively. In terms of ground clearance though, all three cars are quite similar as the Grand i10 comes in at 165mm whereas the Swift comes in at 170mm; which is exactly the same figure as the KUV100. In terms of length, the Mahindra KUV100 is the shortest of the lot and comes in at 3,675mm, whereas the Grand i10 is 3,765mm long and the Swift, 3850mm long. Despite this, Mahindra's latest offering does trump its competitors in terms of width. 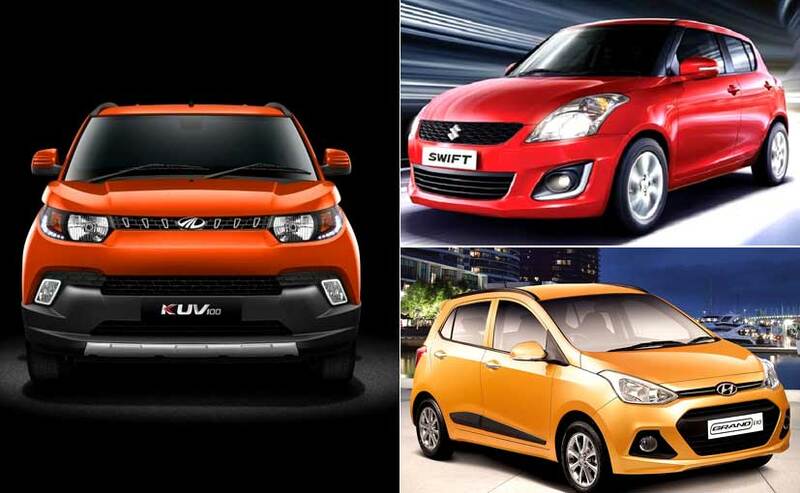 The KUV100 is 1,715mm wide, as compared to the Grand i10's 1,660mm and the Swift's 1,695mm width. Moving on to the features-list. The top variants of the KUV100 get LED head-lamps with DRLs as well as LED fog-lamps, which are unavailable on either of its competitors. Mahindra's compact SUV also gets black plastic under-body cladding, a large silver skid plate, a rear spoiler, and roof rails to enhance the car's beefy looks. The mini SUV is offered with two seating configurations - a standard 5-seater and a unique 6-seater arrangement with bench seats in both the rear and the front. Both the Hyundai Grand i10 and Maruti Suzuki Swift only come with standard 5-seater layouts. 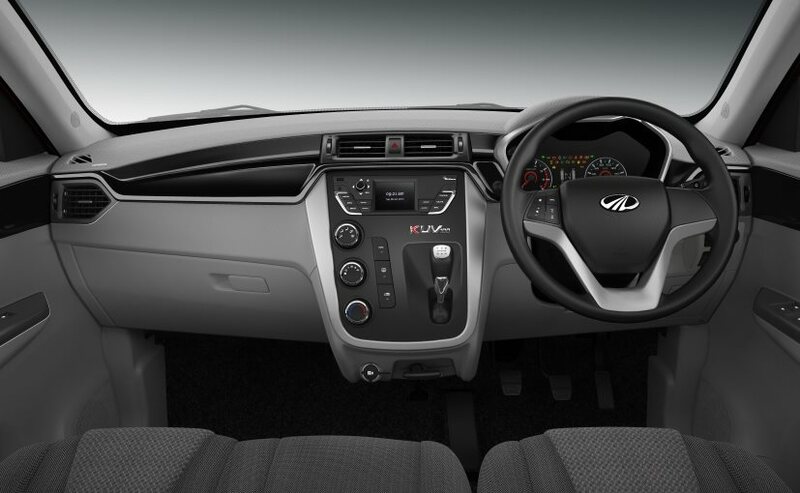 The Mahindra KUV100 also comes with a decent list of features which includes an intelligent infotainment system with a 3.5-inch display screen, in-built driver information system, Bluetooth audio and hands-free call, USB, AUX, steering-mounted controls, tilt-adjustable 3-spoke steering wheel, and height-adjustable driver's seat (variant specific). Similar features exist in the Grand i10 and Swift as well. However, it outscores its rivals in terms of clever storage spaces as it comes fitted with numerous cubby holes and bottle holders. One particular feature which the KUV100 misses out on is the availability of push-button start and smart key, which are provided in the top versions of its competitors. In terms of safety, the KUV100 gets ABS and EBD as standard across all models along with optional dual airbags. 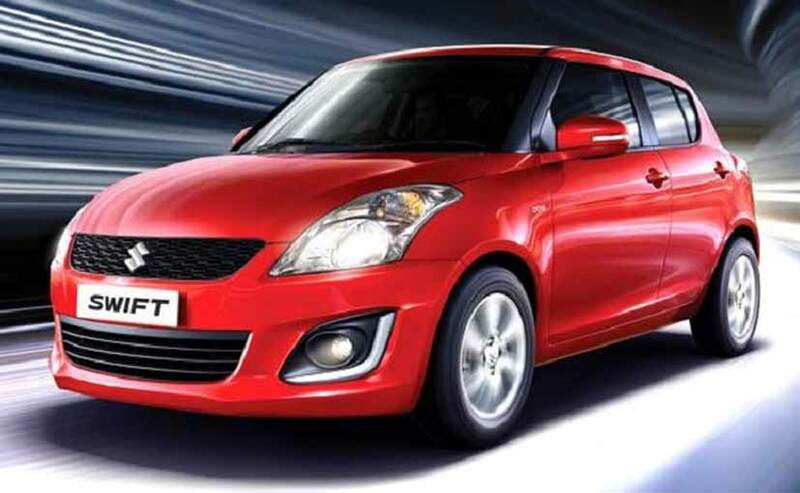 The Hyundai and Maruti Suzuki hatchbacks only offer ABS in their top-end variants. 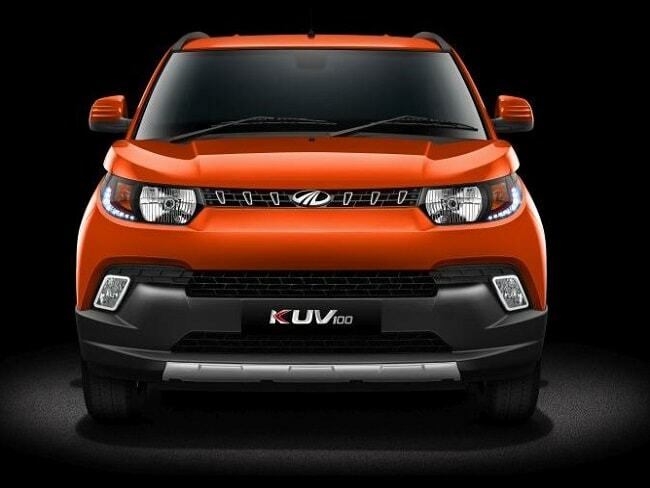 The KUV100 is powered by an all-new range of petrol and diesel mFalcon series engines developed in-house by Mahindra. The petrol G80 engine is a 1.2-litre mill that outputs 82bhp and 114Nm of torque. The Grand i10's 1.2-litre Kappa petrol engine has identical power figures of 82bhp and 114Nm whereas the Swift's 1.2-litre K-Series engine is marginally more powerful and produces 84bhp and 115Nm of torque. The new 1.2-litre diesel, common-rail D75 mFalcon unit is turbocharged and puts out 77bhp along with 190Nm of torque, out-powering both the Grand i10 and the Swift. The 1.1-litre U2 diesel motor on the Grand i10 has an output of 70bhp and 160Nm of torque while the Swift's 1.3-litre DDis engine produces 75bhp of power and 190Nm of torque. Both engines on the KUV100 are mated to a 5-speed manual gearbox, as is the case with both competing hatchbacks. However, the Grand i10 comes out on top as the petrol version of the hatchback is also offered with a 4-speed automatic transmission. The Mahindra KUV100 also has a unique feature which is not available on its rivals - it comes equipped with the company's Micro-Hybrid technology with engine start/stop technology as well as two driving modes - Power and Eco. As far as fuel efficiency figures are concerned, the KUV100 has a claimed mileage of 18.15km/l for its petrol version which surpasses the Swift's 17.37Km/l and Grand i10's 16.54Km/l (15.31Km/l for the petrol automatic transmission version). The KUV100 diesel returns figures of 25.32Km/l, in comparison to 23.19Km/l for the Swift and 22.64Km/l for the Grand i10. Mahindra has priced its latest offering between ₹ 4.5 lakh - Rs 6.8 lakh which is in the same ballpark as its competitors. The Grand i10 costs in the range of ₹ 4.7 lakh - Rs 6.7 lakh while the Swift is priced in the ₹ 4.6 lakh - Rs 7.3 lakh range (all prices are ex-showroom, Delhi). At this price point, the Mahindra KUV100 offers an appealing new alternative to a standard run-of-the-mill hatchback. It offers customers a chance to buy a small car with SUV-like design elements, that isn't a traditional hatchback despite costing approximately the same.